This week we’re learning to get comfortable being uncomfortable. So drop the comfort zones. Entrepreneurship is not for the faint of heart and those giving it a go in the legal marijuana trade deserve major props. This, the business of weed, as we’ve said plenty of times before, often feels like the wild, wild west. For business owners, administrators, patients, doctors, legislators and government officials, staying current on industry developments is a commitment in and of itself. 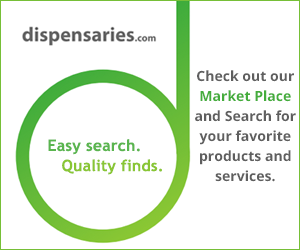 So this is our shout out to you, dispensary owners, techs, growers and the like. We salute you for blazing this trail. And for all of your hard work in doing what you respectfully and responsibly, thank you.